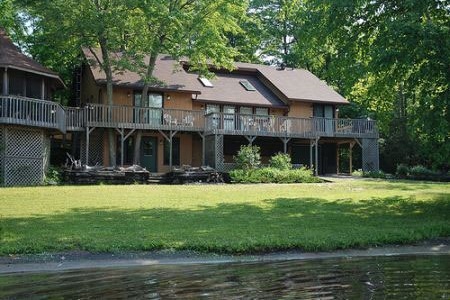 If you are looking for a relaxed, tranquil location with beautiful waterfront for the family to enjoy, and comfortable accommodation with ample space for two families, your search is over. 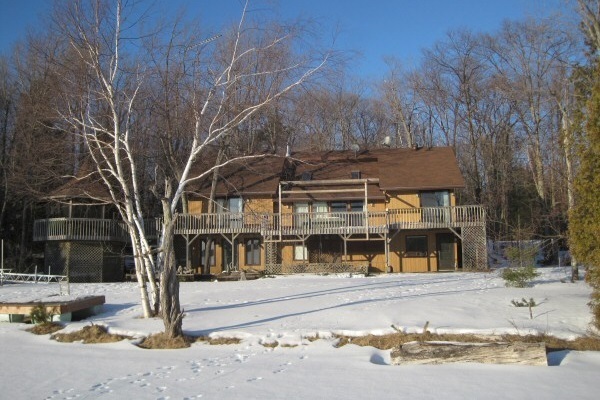 This cottage is impressive from the time you arrive in the sweeping and spacious driveway. 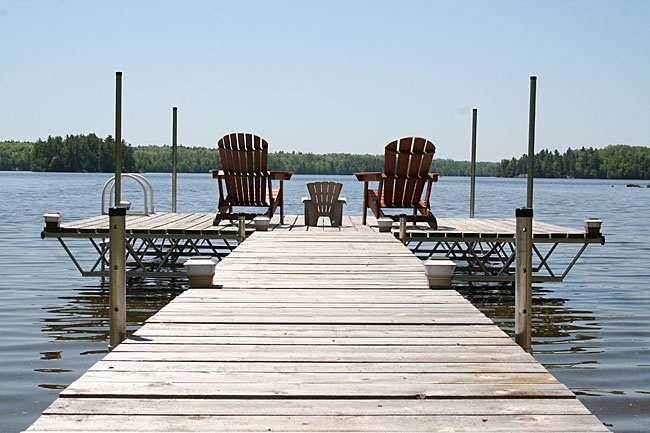 Apart from the easy access which is always a bonus in cottage country, being greeted by the expanse of the building and welcoming warmth of the rich coloured logs, will just increase the excitement and knowledge you've chosen something really special. On entering the property there is a hallway, the dining area and a few steps down to a sunken lounge overlooking the lake. With leather furniture, a wood burning fireplace and big windows across the front, this is a relaxing space. The large kitchen to one side of the lounge is ideal for the gourmet cook with an island for food preparation and a wide range of small appliances to help with the creation of culinary delights. 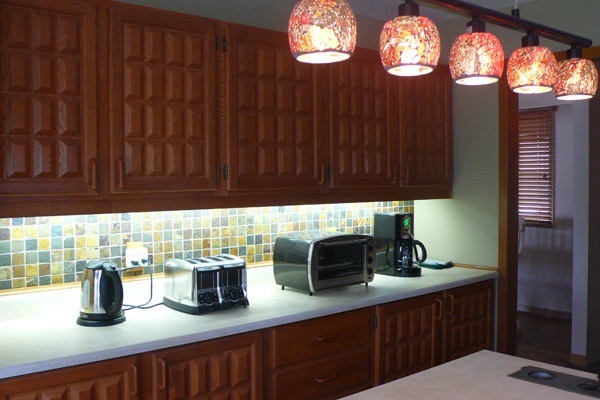 Stainless steel and slate are features of this upscale kitchen. 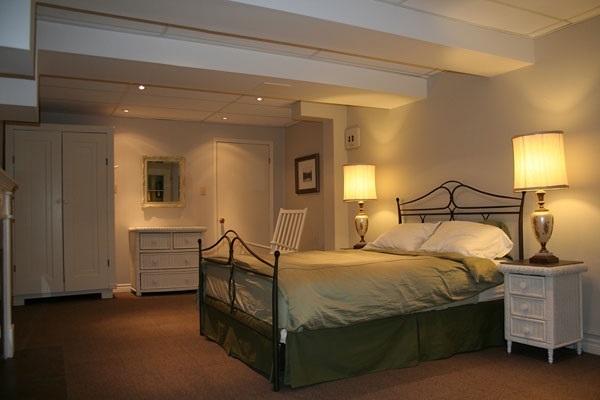 To one end of the upper hallway are two bedrooms. The master with queen bed has sliding doors to the deck and an ensuite bathroom with double wash basins, tub with a shower over. 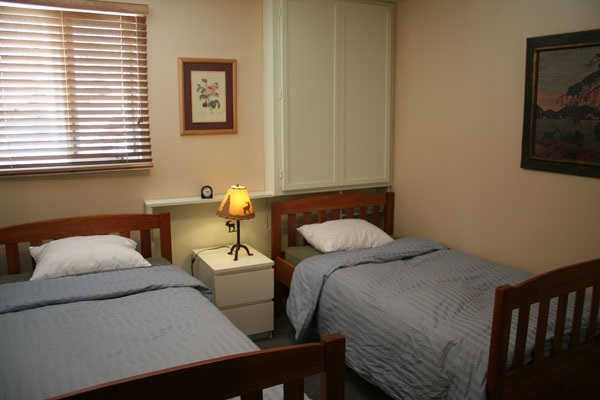 The second bedroom has bunk beds and is ideal for children. To the other end of the hall is another washroom. Stairs lead to the lower level and plenty more accommodation. 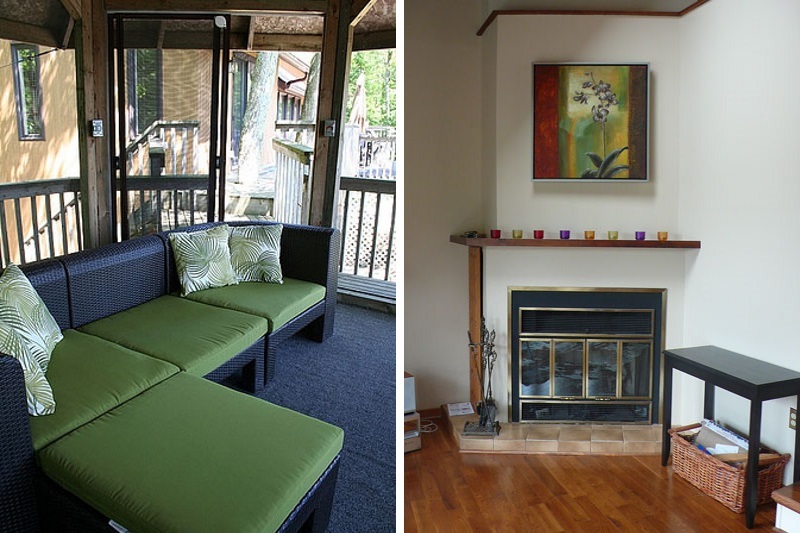 A family room has a bar, another wood- burning fir1eplace, comfortable furniture and doors to the outside. 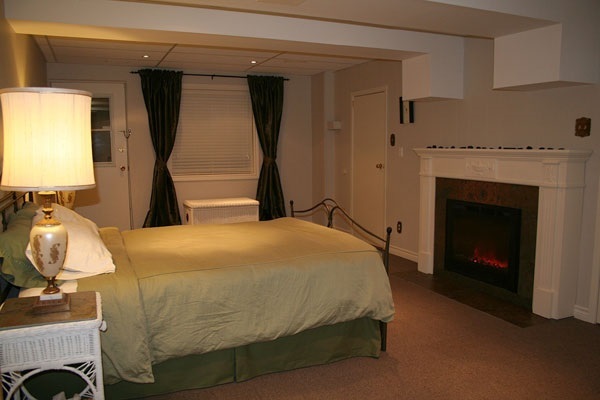 There is a bedroom with twin beds and a newly renovated large bedroom with a queen bed along with a vintage mantle, electric fireplace with slate surround and a large window and a door to the outside. 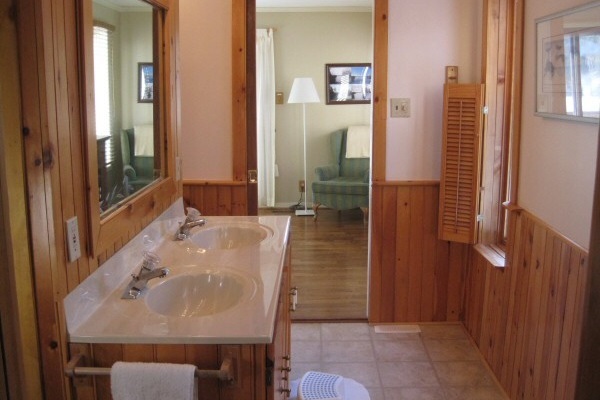 There is also a big bathroom that has a claw foot tub, a separate shower stall and a sauna that will seat at least 4 people. Of course, the facilities include washer and dryer. 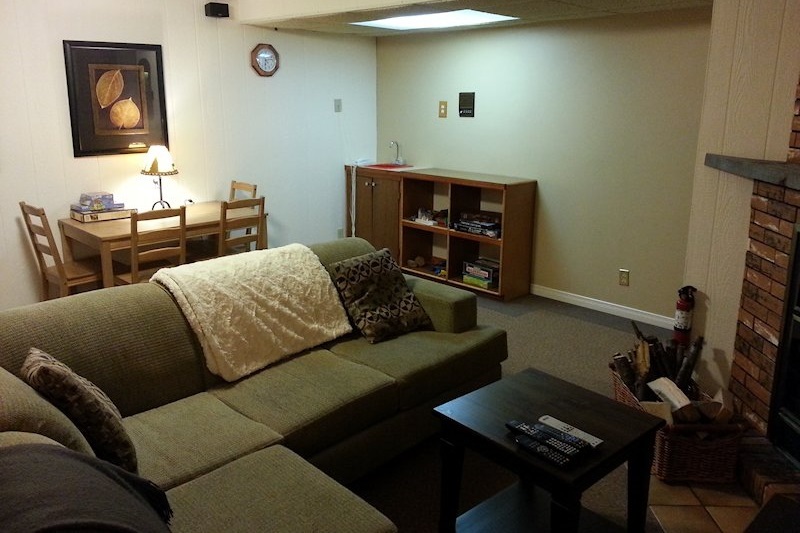 There is a 34-inch LCD TV, satellite receiver and a home theatre system in the family room. 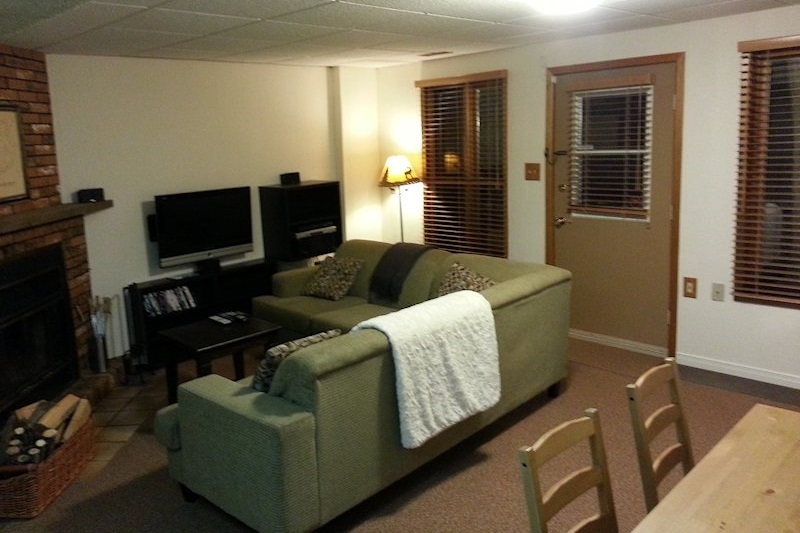 The living room has a 32-inch flat screen TV, satellite receiver and a DVD stereo system. There is also a Harman Kardon iPod docking station. 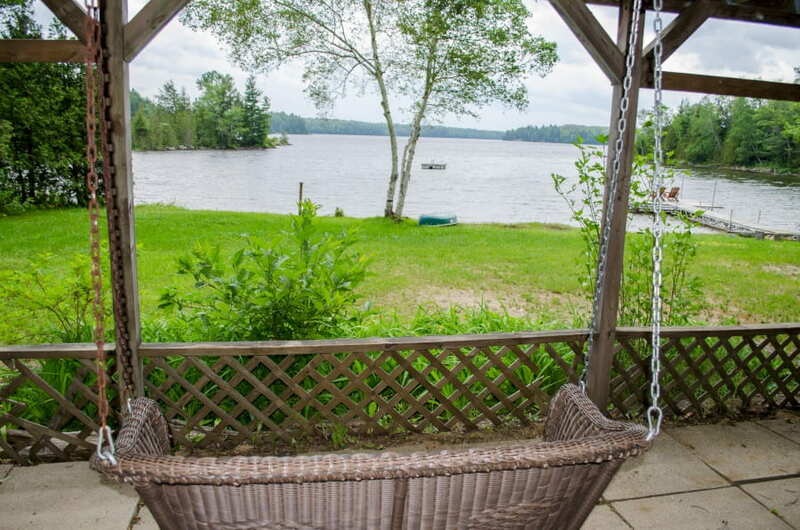 A great feature of this stunning cottage is the large deck with octagonal screened gazebo for sunset watching, with plenty of patio furniture for enjoying the views. Landscaping surrounds the waterside level and lawns lead down to the clear waters with shallow, sandy walkout to the lake. Situated in a quiet bay with no other visible cottages, the location is blessed with privacy, outstanding waterfront aspect and plenty of space for play. 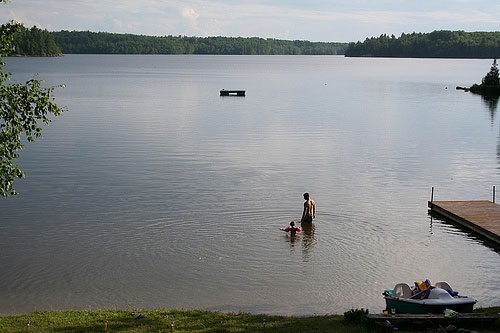 Pine Lake is in the heart of the Land'o'Lakes region, about 15 minutes north of Sharbot Lake. 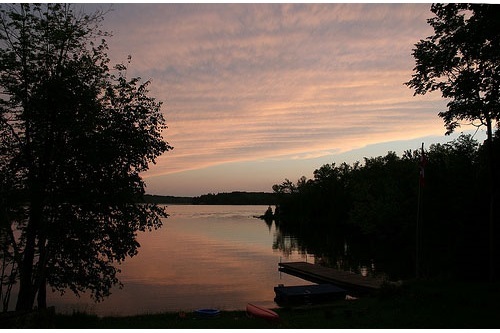 A quiet and tranquil area, it is easily accessible from Ottawa as well a being within a three hour drive of Toronto. 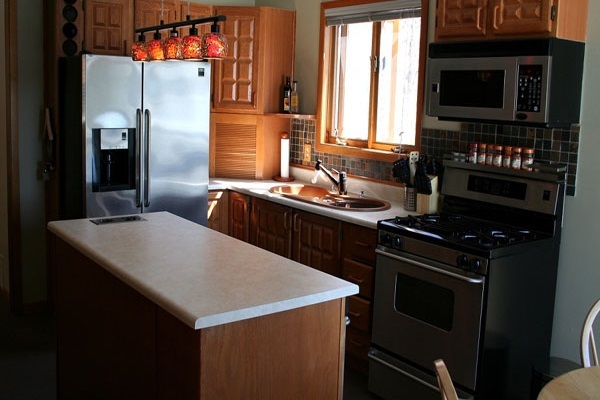 Day trips to Kingston and the Thousand Islands, Prince Edward County, and the Perth/Smiths Falls region are a great option if you ever get tired of this wonderful cottage. We're not sure this will happen! 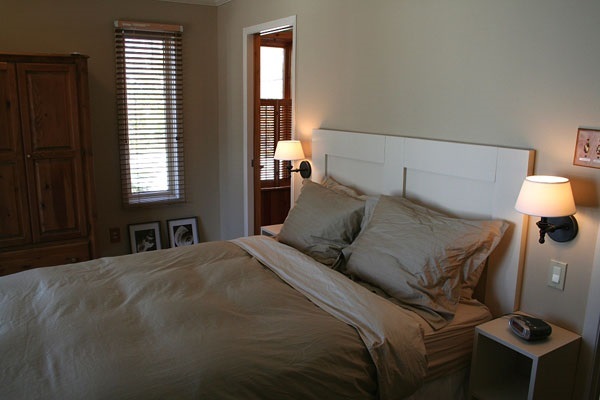 A post-rental cleaning service is included in the rental rate for high season reservations. 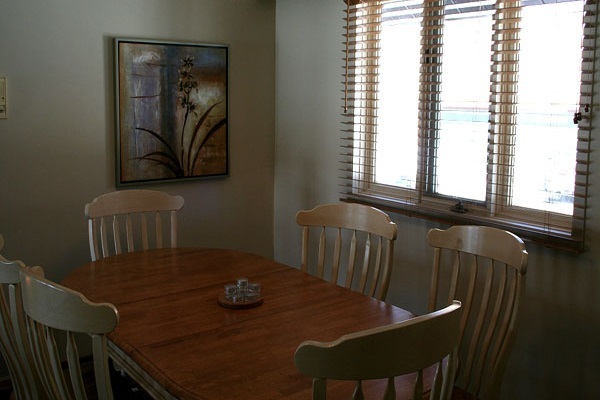 For other periods it is available at an additional cost of $125 (booked in advance); if not required the cottage is to be left in an 'as found' condition . 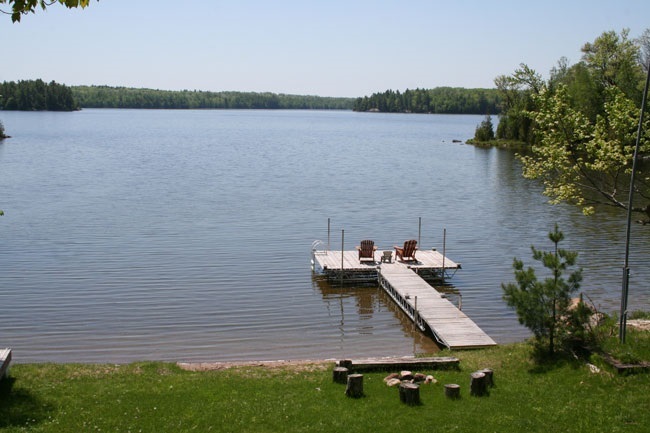 Landscaping surrounds the waterside level and lawns lead down to the clear waters with shallow, sandy walkout to the lake. 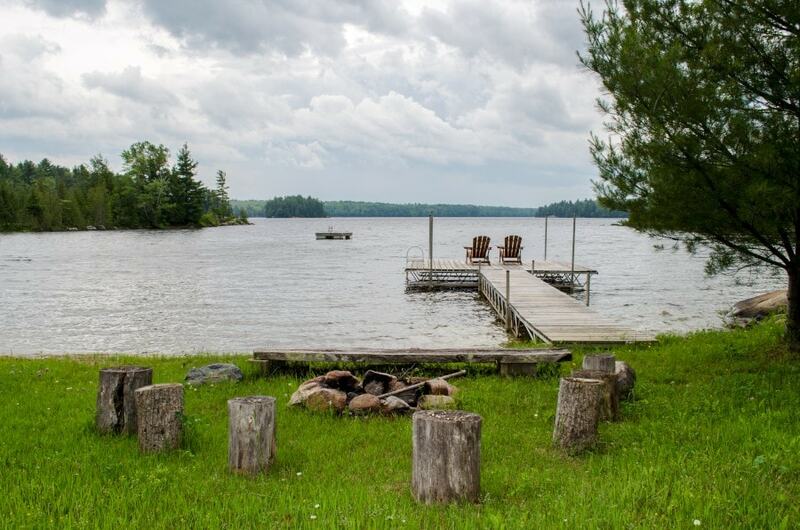 Situated in a quiet bay with no other visible cottages, the location is blessed with privacy, outstanding waterfront aspect and plenty of space for play.